Stories that have grabbed my attention over the last day or so. It’s all about the brain. One day we should be able to use fMRI tools (or their descendants) to identify psychopaths before they hurt someone and offer to cure them. Can we also use neuroscientific tools to help cure religious fundamentalists? I’m not sure they would willingly submit to be cured and we can’t ethically force them. Would you stop believing in imaginary gods and monsters if you could? An Oxford University researcher and author specializing in neuroscience has suggested that one day religious fundamentalism may be treated as a curable mental illness. No, that’s not the title of the sequel to Iron Sky, it’s the story about meth was invented by a German in 1938 and then distributed by the millions to Nazi soldiers. Makes me wonder what impact that might have had on their early successes – and their eventual downfall? We know Der Fuhrer didn’t partake of alcohol or cigarettes, but did he use meth? We saw The Great Gatsby in 3D last night. It wasn’t the complete disaster I expected from the bad reviews and the stories about its troubled production, but I didn’t like it. I’m generally not a fan of Baz Luhrmann. I loved Strictly Ballroom, but all of his films since Romeo + Juliet have been too over-the-top for my tastes. I don’t mind CG effects if they are required – sure, go ahead and use them in The Avengers if you must. I just think character-driven stories don’t need them. We also saw Joe Wright recent adaptation of Anna Karenina a few months ago and I’m sure it also used CG, but it was used much more carefully, enhancing the story rather than over-powering it. That’s my two cents, anyway. Chrissy, on the other hand, loved it. Who Is The New Doctor Going To Be? (he was Q in the latest Bond film), although he might be too big now. Cumberbatch is definitely too big – and he turned it down four years ago anyhow. It will probably be someone totally unknown. 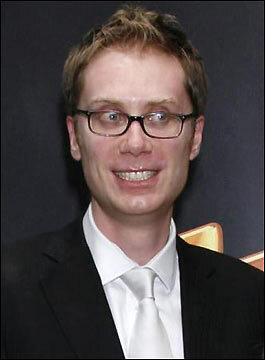 If I could choose, it would be Stephen Merchant. Yeah the last season has been pretty dreary. It’s had a few cool moment (John Hurt) but nowhere near as cool as the first season of Eleven or the first couple of seasons of Ten. How does the CEO of Evernote use Evernote? Phil Libin, CEO of Evernote, shares how he organises his personal install of Evernote. A little disappointing to those of us who obsess over getting the right combination of Notebooks & Tags. At least he has more notes than I do (6617).